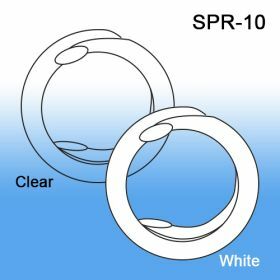 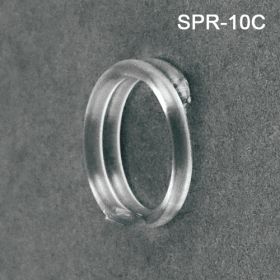 Spiral Ring, Split Ring, Clip Strip Corp. 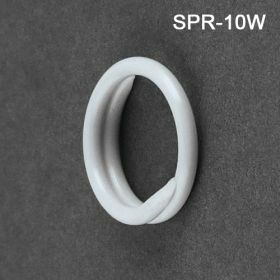 Minimum quantity for "Spiral Ring, SPR-10" is 250. In retail, plastic spiral key rings are used to connect and fasten signs together, or place printed information on store fixtures to communicate to customers. 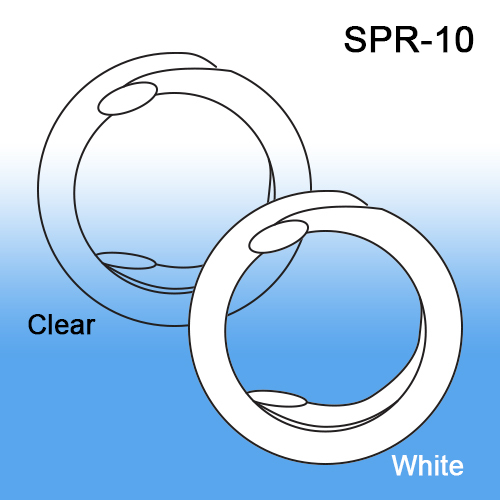 They come in clear and white.